There are new faces in the State Capitol this legislative session. During last November’s election, voters turned out in high numbers to set a new direction for environmental protection in the State Senate. Read on to learn more about new State Senators. Chair of Committee on Domestic Animal Welfare. Member of Committees on Alcoholism and Substance Abuse, Veterans, Homeland Security and Military Affairs, Education, Rules, and Labor. 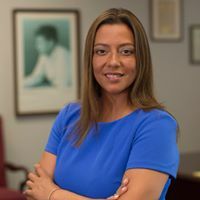 Over her career as a teacher, assistant principal, and legislator, Martinez has presented a deep commitment to her community and the environment through her experience promoting sustainable development by protecting Suffolk County open space preservation programs and protecting properties across her community. Martinez has specifically shown dedication to reducing children’s exposure to toxic chemicals, noting that Suffolk County has been a leader in these efforts – banning BPA in baby bottles and protecting children from lead exposure and other toxic chemicals. She supported “Tobacco 21” which works towards protecting children from smoking and secondhand smoke and is a sitting member on the Heroin and Opiate Advisory Panel which has allocated funding to keeping the youth of her community aware and safe. As a legislator, she reduced the use of pesticides and worked towards protecting our groundwater from pesticide and fertilizer runoff. She has advocated for clean energy – including efforts to turn to solar energy and incentivizing energy conservation. 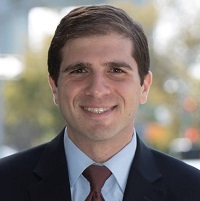 Martinez has remained committed to expanding renewable energy by supporting increased state funding for wind and solar projects on Long Island. Martinez has also supported programs to charge 5 cents for single-use plastic bags to encourage customers to bring reusable bags, something she hopes to make a statewide incentive, as it reduced the use of single-use plastic bags by 80%. Chair of Committee on Local Government. Member of Committees on Alcoholism and Substance Abuse, Commerce, Economic Development and Small Business, Racing, Gaming, and Wagering, and Higher Education. Gaughran co-authored the Drinking Water Protection Plan, which led to preserving the Central Pine Barrens and numerous critical watershed areas in Suffolk County. He fought to preserve open space through zoning changes and implemented the first recycling program for the Town of Huntington. He supports strengthening laws that help prevent exposure to lead and other toxic chemicals. Chair of Committee on Consumer Protection. Member of Committees on Aging, Banks, Veterans, Homeland Security and Military Affairs, Finance, and Judiciary. Thomas supports measures to reduce emissions from the transportation sector including congestion pricing and bike share programs. He is committed to implementing policies that protect clean water and prevent exposure to toxic chemicals. Thomas believes the State should prioritize a move away from fossil fuels and encourage renewable energy use. Chair of Committee on Commerce, Economic Development and Small Business. Member of Committees on Children and Families, Transportation, Mental Health and Developmental Disabilities, Judiciary, and Codes. 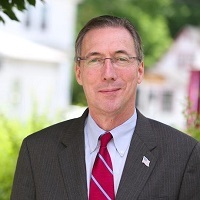 Kaplan helped secure funding for public lands including Whitney Pond Park and Gerry Pond Park, and has sponsored legislation to support parkland protection in Nassau County. 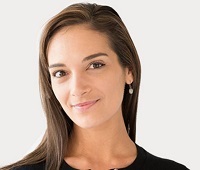 She advocated for brownfield cleanup on Long Island and the construction of energy efficient buildings. Chair of Subcommittee on New York City Education. Member of Committees on Alcoholism and Substance Abuse, Transportation, Education, Rules, and Finance. 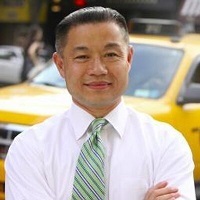 As a New York City Councilman, Liu co-sponsored a bill requiring certain new City buildings to be built using green building standards and sponsored a law that regulated idling adjacent to schools. As New York City Comptroller, he created “Green Apple Bonds” which finance the removal of toxic PCBs from our public schools while enhancing energy efficiency. He also filed shareholder proposals that would require companies to adopt quantitative goals for reducing greenhouse gases, report sustainability policies and performance, and supply-chain sustainability reporting. Chair of Committee on Labor. Member of Committees on Cities, Consumer Protection, Corporations, Authorities and Commissions, Transportation, and Cultural Affairs, Tourism, Parks and Recreation. Ramos has advocated for green union jobs in the building maintenance industry and for a ban on fracking. She has also helped organize forums to talk about green roofs and community energy. She supports transitioning to a green power grid and policies that make buildings more energy efficient. She is also a supporter of measures to reduce emissions from the transportation sector including congestion pricing. Chair of Committee on Women’s Health. Member of Committees on Children and Families, Crime Victims, Crime and Correction, Elections, Health, Environmental Conservation, and Social Services. Salazar supports the Climate and Communities Investment Act (CCIA) to transition New York to 100% renewable energy. Environmental justice is important to her and she committed to ensuring all New York communities are afforded fair treatment and meaningful involvement in environmental decision-making, and that frontline communities and environmental justice communities have a champion in Albany. She supports fixing the VDER (Value of Distributed Energy Resources) policy for valuing solar energy and supporting local communities to have their own solar networks. Chair of Committee on Elections. Member of Committees on Consumer Protection, Crime Victims, Crime and Correction, Social Services, Judiciary, Codes, and Environmental Conservation. Myrie is committed to protecting children from toxic chemicals including lead and protecting clean water. 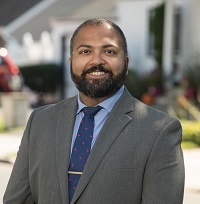 He supports investing in clean energy projects, reducing plastic bag waste, increasing funding for mass transit infrastructure, building walkable communities, and requiring sustainability mandates for buildings. Chair of Committee on Civil Service and Pensions. Member of Committees on Labor, Judiciary, Higher Education, and Codes. Gounardes’ platform to restore public transportation system includes making the MTA more accountable by giving riders a direct vote on the MTA Board, restoring dedicated revenue and spending, and fighting for accessible stations. He worked with Bay Ridge Advocates for Keeping Everyone Safe to pressure Albany lawmakers into allowing speed cameras in school zones. He is committed to preventing exposure to toxic chemicals and protecting public lands. Chair of Committee on Cities. Member of Committees on Education, Labor, Higher Education, Housing, Construction and Community Development, and Civil Service and Pensions. 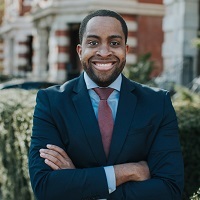 As a New York City Councilman, Jackson fought to get PCBs out of classrooms and sponsored the resolution in support of state legislation to ban fracking in New York State. He fought to phase out dirty boilers. Jackson also worked to protect children from the deadly effects of lead in their homes and continued the fight against lead poisoning in the Dominican Republic. 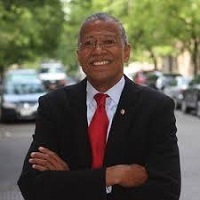 He has been a strong advocate for open space including bringing irrigation to the historic 20-acre Isham Park and working with the Metropolitan Waterfront Alliance on the development of a new Eco Dock in the Dyckman Marina. Chair of Committee on Ethics and Internal Governance. Member of Committees on Aging, Agriculture, Health, Investigations and Government Operations, and Codes. Biaggi supports expanding renewable energy, eliminating greenhouse gases, and increasing resiliency. She is committed to ensuring that everyone — including communities of color and low-income communities —has access to renewable energy and supports programs such as NY-Sun and NYSERDA’s efforts to make community solar affordable for low-income communities. She supports reducing plastic waste and food waste. Biaggi supports measures that would require food service facilities operated or contracted by the state to compost or donate leftovers, and help community groups and local governments purchase compost. She also supports investments in public transportation. Chair of Committee on Investigations and Government Operations. Member of Committees on Agriculture, Corporations, Authorities and Commissions, Transportation, Local Government, and Finance. Skoufis has been a champion on efforts to ban fracking, encourage sustainable development and propel the state’s transition away from fossil fuels. In the State Assembly, he was a member of the Committee on Agriculture as well as the Climate Change Workgroup, advocating to eliminate coal power plants and increase organic recycling programs. He sponsored legislation enacting the Natural Disaster Preparedness and Mitigation Act and bolstering the effectiveness of the Clean Air Act to monitor power plant emissions. Skoufis helped to pass the Climate and Community Protection Act and is animated about aiding small businesses and homeowners in their shift to renewables. He is vocal about the need to prioritize funding and staffing for the Environmental Protection Fund and Department of Environmental Conservation. Furthermore, he supports stricter regulation for petroleum ships on the Hudson as well as lowering the definition of elevated blood lead levels. Chair of Committee on Alcoholism and Drug Abuse. Member of Committees on Environmental Conservation, Veterans, Homeland Security and Military Affairs, Commerce, Economic Development and Small Business, Energy and Telecommunications, and Local Government. Harckham co-sponsored legislation to ban waste from hydrofracking from being treated in any wastewater treatment facility in Westchester. He successfully negotiated with NYC DEP for a pilot of enhanced treatment units (ETU’s) in a centralized way as a cost-effective way for municipalities to treat wastewater and secured more than $30 million in grants for water quality protection efforts in Northern Westchester. He passed a law that encouraged solar installations. Harckham supports a plastic bag ban and successfully sponsored legislation requiring expanded plastics recycling in Westchester. Chair of Committee on Agriculture. Member of Committees on Environmental Conservation, Education, Energy and Telecommunications, Local Government, and Health. Metzger has a long history of promoting environmental initiatives from a variety of professional and administrative positions. 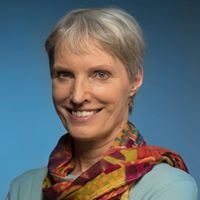 She was the Chair of the Rosendale Environmental Commission as well as the Rosendale Climate Task Force for 6 years, throughout which she did extensive work to promote smart growth, renewable energy incorporation, and resource preservation. Metzger accomplished this by aiding local businesses in conducting energy audits, integrating environmental and stormwater guidelines into the Town’s commercial and industrial design programs, and developing the Town’s Natural Resource Inventory to launch a study on the area’s biodiversity. 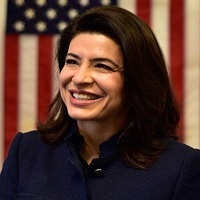 She additionally advocated for a local law banning fracking, which passed in 2012, and drafted the first local law adopted in New York to set emission standards for outdoor wood boilers. 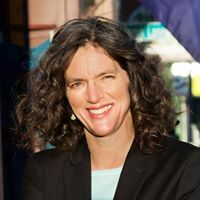 In 2013, she moved on to co-found and direct an organization committed to helping communities transition to a local, clean energy based economy, called Citizens for Power, along with taking a seat on the Rosendale Town Council. Through these efforts, she championed the Town’s achievement of the Clean Energy Community Status, having spearheaded efforts on installing free public electric-vehicle charging stations, streamlining the solar permit process and initiating building department training in the NY State energy code. She led and managed the Town’s conversion to LED streetlights and initiated their commitment to meet 100% of municipal facilities’ energy needs with small-scale hydroelectric power. 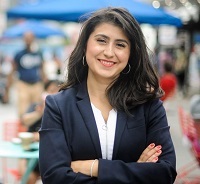 As a member of the NY Energy Democracy Alliance, she believes accessibility to clean energy is a top priority, working to ensure that benefits reach all New Yorkers, especially the working class and communities of color. 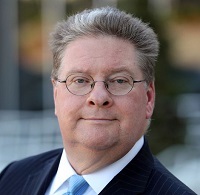 Ranking Member of Committee on Racing, Gaming and Wagering. Member of Committees on Agriculture, Banks, and Ethics and Internal Governance. 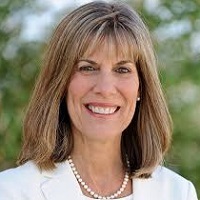 Jordan was a member of the Halfmoon Town Board before she was elected to the Senate. She developed the first template for the library’s five-year budget plan and served as liaison to facilitate and procure a $408,000 grant for a Green and LEED Certified Library. Ranking Member of Committee on Banks. Member of Committees on Finance and Health. 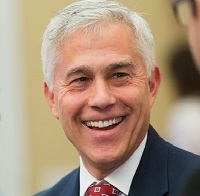 Antonacci created a “green auditor” and is focused on water quality. Chair of Committee on Aging. Member of Committees on Agriculture, Environmental Conservation, Cultural Affairs, Tourism, Parks, and Recreation, Elections, Higher Education, and Housing, Construction and Community Development. May has an extensive history of environmental advocacy. She was Coordinator of Sustainability Education at Syracuse University, where she helped students successfully advocated for divestment of SU funds to fossil fuel companies and implemented a climate action plan for the University, as well as designed workshops and classes for students to further their knowledge on sustainability topics. She was chair of the greenhouse gas ad hoc committee of Onondaga County Resource Recovery Agency (OCRRA) and is committed to cleaner and more efficient infrastructure. In partnership with Native American educators, she secured grants from the EPA and the National Endowment for the Humanities to develop teaching materials and train teachers and students about the extraordinary environmental and human history of Onondaga Lake. 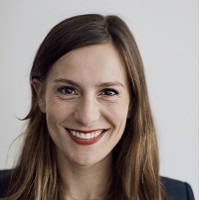 She supports reducing emissions in the transportation sector and decreasing plastic waste.